Virginia Beach – William Darryl Scott Sr. was born in Portsmouth, Va. to the late Mrs. Hazel V. Scott and the late John R. Scott and departed this life on November 26, 2013. He received his early education in the Portsmouth and Chesapeake Public Schools, respectively, and earned his high school diploma from Crestwood High School. He matriculated to Norfolk State University and studied Economics. He continued his formal preparation at Springfield Christian Seminary and Bible College, a former academic affiliate of Wheaton Seminary in Springfield, Mass., and earned a Bachelor’s degree in Theology. He successfully completed the Certification for Church Business Administrators at Union Theological Seminary in Richmond, Va. and entered the Masters of Divinity Program at the School of Theology at Virginia Union University. In 2005, Bishop Scott earned a Doctorate of Divinity from Springfield Seminary and Bible College and received an honorary doctorate from St. Thomas Christian College, Jacksonville, Fla. in 2007. Bishop Scott answered the call to the gospel ministry and was licensed to preach on August 31, 1975, at Fourth Baptist Church, Portsmouth, Va. under the pastorate of Rev. Dr. Spencer L. Scott Jr. In October 1980, he was ordained at Fourth Baptist Church by Dr. Spencer L. Scott Jr.; and in November 1980, he accepted the pastorate at Pleasant Grove Baptist Church in Virginia Beach, Va. On November 11, 2007, he was consecrated to the Office of Bishop. He was designated as a Chief Apostle on November 28, 2009. As a gifted pianist, organist, and songwriter, Bishop Scott started playing as early as eight years old and willingly shared the gifts and talents God had placed in his seed. During his tenure at Pleasant Grove Baptist Church, Bishop Scott developed and implemented many programs to enhance and empower the spiritual growth of the congregation which grew from 100 to over 3,500 members. Many ministers were licensed under his leadership, and many of them have been called to pastorates. Currently the church retains 23 associates that work diligently in ministerial staff leadership positions. Bishop Scott served the community in many capacities. He co-hosted the popular Sunday morning TV show “Spread A Little Sunshine” with its host, the Reverend Billy Lee, for three years; and he hosted “The Church and Community Forum” radio program sponsored by the Tidewater Co-Op of McDonald’s Corporation. 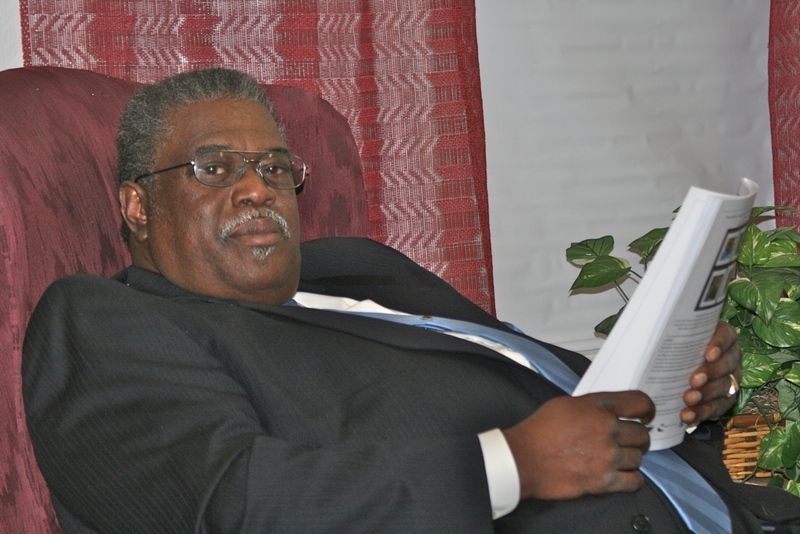 He served as vice-chairman of the Virginia Beach Ecumenical Housing Association. Under his leadership, the organization was incorporated and became The Samaritan House. He was an executive board member of the Baptist General Convention; vice-chair of the Community Organization Incentive Grant Committee; a delegate to the President’s Summit on Youth, a mayoral appointment; a member of the Church Business Administrators Association; a member of the American Association of Christian Counselors; an executive board member, and a regional vice-president of the Hampton University’s Minister’s Conference. Additionally, he was affiliated with the National Baptist U.S.A. and served as the moderator for the Norfolk Union Baptist Association for four years. Recently, he was appointed to the Board of Urban Development at Regent University. In 2003, Everlasting Life Ministries (ELM) was founded by Bishop Scott as the Chief Executive Officer and Rev. Joyce Anne Rose is the co-founder and Chief Operating Officer. ELM is an Evangelistic Empowerment Ministry that reaches local, national, and international boundaries. In 2004, two new ministries sprouted from this seed: Everlasting Life Alliance of Ministries (ELAM) and Vision Feed 5000, a ministry committed to providing food to the homeless, hungry, and others in need. Bishop Scott successfully ministered in the countries of Cuba, England, Japan, South Africa and West Africa. He was recently invited to the Philippines, India, Japan, and Pakistan. Knowing that the works of a good man can always be complemented by the support and love of a caring wife, Bishop Scott was happily married for the past 36 years to the former Joyce Anne Rose of Franklin, Va. Reverend J. Rose, as she is lovingly called currently serves as Pastoral Administrative Assistant at Pleasant Grove Baptist Church; Chief Operating Officer of Everlasting Life Ministries (ELM); and Chief Nurse Anesthetist at Chesapeake Regional Medical Center. He was the proud father of two wonderful children: Tasha Dominique Scott-Beverly, an Assistant City Attorney with the City of Norfolk, Va. and Vice-President of Ministry and Administrative Overview with Everlasting Life Ministries (ELM); and William Darryl Scott Jr., Director of Operations, Media, and Marketing at Pleasant Grove Baptist Church; and Vice-President of Fiscal Accountability and Business Marketing of Everlasting Life Ministries (ELM), both in Virginia Beach, Va. He had two granddaughters: Nia Alesa Mikkel Beverly and Brooklynn Alexis Mikkel Beverly and a son-in-law, Attorney Michael Beverly. Bishop Scott is survived by his siblings: Carmela Hardy of Chesapeake, Va., Reverend Hazel Greenhowe of Chesterfield, Va., Reverend Cessar L. Scott Sr. (Shirleva) of Richmond, Va., John R. Scott Jr. (Janet) of San Diego, Calif., Spencer Scott, III (Ozella) of Portsmouth, Va., Aaron K. Scott (Donna) of Portsmouth, Va., Karl Marcus Scott of Chesapeake, Va.; a host of nieces, nephews, godchildren and other relatives and friends. Several months ago, I introduced a list of 10 of the Best Preachers I’ve Ever Heard and I received a lot of comments about my personal list – “who should have been on the list.” Now, a few short hours from Thanksgiving, I want to issue a Part 2 to that list. On the original list, I noted the ministries of Pastors E.V. Hill, Donald L. Parson, Robert H. Wilson, Sr., E. Edward Jones, T.D. Jakes, A. Louis Patterson, R.A. Williams, Jr., E.K. Bailey, Melvin Von Wade, Sr. and Gardner Calvin Taylor. You can see that list and accompanying videos by clicking here now. I want to now add ten more preachers. Unfortunately, some of the ministers don’t have any video online. DR. ARTHUR BERNARD DEVERS, I, SAN ANTONIO, TEXAS – Dr. Devers was my father in the ministry who introduced me to the ministry and especially manuscript preaching. When he was called to the New Hope Baptist Church in Portland in 1975, the saying was if you went to hear him you needed two books – a Bible and a Dictionary. He taught me a love for words, sentence structure and was actively preaching in the National Baptist Convention of America, Inc. International as he served congregations in Portland, Seattle and San Antonio. DR. O.B. WILLIAMS, PORTLAND, OREGON – Simplistic, but profound. Low tech methods but high tech impact. Dr. O.B. Williams, one of the pioneers of the Northwest stood flatfooted and preached, with his manuscript paper clipped to sections of the text and preached folk crazy from the 1940s to 1991s. “Dr. O.B.” as he was affectionately called, pastored the church he founded for 45 plus years, served as “President for Life” of the General Baptist Convention of the Northwest, and was a stalwart of the NBCA and one of the founding fathers of the National Missionary Baptist Convention of America. He opened up his sermons with the words, “Is there any word from the Lord? Yes My dears, there is always a word from the Lord.” His smooth, sing-song method of sermon closure was imitated by generations in the Northwest. 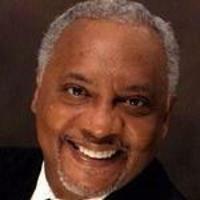 DR. FRANK E. RAY, SR., MEMPHIS, TENNESSEE – I was one of the co-chairs of the San Diego City-Wide Revival when the name “Dr. Frank E. Ray, Sr.” was suggested as our evangelist. And when I met him, I learned to respect, admire, and frankly, covet the preaching gift encapsulated in Dr. Ray’s preaching. To say he has a photographic memory is an insult – he is completely absorbed in the Word and listening to him preach is like watching a sponge squeezed and whatever is stored within him is released. His close of his sermon is the template for a generation of young preachers and his argument has won him respect across the nation. He’s one that you must hear before you go to Glory. Tremendous pastor of the New Salem Baptist Church. DR. ASA W. SAMPSON, SR., HOUSTON, TEXAS – When I was a young associate minister, my pastor had just invited Dr. Asa W. Sampson, Sr., of the legendary Sampson brothers legacy of Texas, to stand in the pulpit of New Hope Baptist Church. I was tremendously impressed. He was dapper, long curly hair, overtly kind and courteous (he would always use “yes ma’am” and “no ma’am” to the elderly sisters of the church), and his preaching (another manuscripter) was absolutely incredible. I never shall forget the sermon, “Looking At the World Through the Eyes of Jesus.” Years later, he brought me to preach for him at the Hopewell Baptist Church and I was a nervous wreck because I was standing in the pulpit where Dr. Sampson stood week after week. I still consider him a life-long friend and he is one of the best. Son of a preacher and father of a preacher. DR. WILLIAM J. SHAW, PHILADELPHIA, PENNSYLVANIA – Dr. William J. Shaw is different. In the scheme of things in the Baptist world, he’s not flamboyant. He’s not loud. He doesn’t major in singing. He doesn’t minor in singing. He’s intellectual but he’s dynamically spiritual. I heard Dr. Shaw for the first time at the E.K. Bailey Conference in person and I was mesmerized. His handling of the text impressed me and just as meekly as he approached the sacred desk, he descended in same order. Dr. Shaw is perhaps going to be written in history as one of the best 25 black baptist preachers in history. He not only was a preacher’s preacher, he also served as President of the National Baptist Convention, USA, Inc. during one of the stormiest periods in her history. DR. STEPHEN JOHN THURSTON, CHICAGO, ILLINOIS – I met Dr. Thurston as well at the New Hope Church in Portland and I believe he was in his early 30s and I said to him “one day you’ll be president of the National Baptist Convention of America.” I was so impressed because I had never heard that kind of preaching, fervor, zeal, singing and he brought it night after night after night. Unapologetically conservative in his theology, you won’t find Dr. Thurston hunting theological rabbits, but he is always solid in his theology. Not some times. Always solid. He blends in all facets of preaching and his strong point is his series preaching, which has led to the construction and occupancy of a massive sanctuary of the New Covenant Church in Chicago. He’s a President who doesn’t have an entourage to discourage him from mingling with the masses. BISHOP PAUL SYLVESTER MORTON, SR., ATLANTA, GEORGIA – He introduced the words “Changing a Generation” at an almost filled to the rafters Louisiana Superdome and the rest is history. Bishop Morton, who has led the Full Gospel Baptist Church Fellowship International for 20 plus years, is without a doubt one of America’s best preachers. His closing musical intonations are one part old fashioned gospel preacher with one part contemporary gospel artist with one part musical hymnologist. His close: “Is there anybody here?” with a drop of keys is impressive and everyone shouldn’t try this at home. He took Greater St. Stephen Full Gospel Baptist Church in New Orleans from a couple of hundred to over 20,000. When Hurricane Katrina hit the area, many of his members relocated to Atlanta and he planted “Changing a Generation Church” there, turned over the pastoral duties of GSS to his wife, Pastor Debra Morton, and he continues to plot a course. His records, albums, business acumen is to be respected, but there is nothing like the preaching of this man of God. PASTOR MARCUS W. COSBY, HOUSTON, TEXAS – I heard him here in Kentucky for the first time and I had never seen a room explode in celebration of preaching like I did when this man of God preached. He dresses old school (black and white), he has old school mannerisms, but he has the strength and agility of a team of young school preachers. His context analysis is eye popping. His ability to allow the Holy Spirit to completely encapsulate his presentation is unbelievable. And physically, his body contorts and literally he leans completely backward without fear of falling. His ministry at the Wheeler Avenue Baptist Church by way of Chicago has exploded and he is one of the nation’s best preachers. BISHOP GILBERT EARL PATTERSON, MEMPHIS, TENNESSEE – Bishop Patterson was a groundbreaking minister. He not only built one of the first megachurches in the Church of God in Christ, he also bought a radio station AND had an international television ministry. THEN he became the presiding prelate of COGIC. He was a literal preaching machine and he impressed me with his knowledge of the Old Testament. He could take a complicated text and unravel it and still retain the meaning. He is sorely missed on the preaching landscape today. It’s not fair of anyone to be judged on a one day incident for the rest of their mortal lives. With that thought in mind, it’s only fair of me to revisit my original opinion about the Real Preachers of L.A. and offer this post game analysis now that the show has concluded season 1. I have no doubt that there will be a season 2 of some sort. After the season is now completed, I want to say that nothing earth shattering has occurred. The moon has not turned into blood. The sky did not fall. Droves of people did not leave the church nor did droves of people join the church after watching these pastors and spouses. Many people, including myself, believed that it would have had an impact, but after that first “hook” episode, it settled down quickly and moreso focused on the relationships that the preachers had with their wives or significant others. I have to say that I was on Team Jay Hayzlip, Team Clarence McClendon, and Team Ron Gibson throughout the series. I really believed that they wanted to present the gospel and ministry in a positive light. I was ambivalent about Team Chaney – and they are a team, for sure. However, I was saddened by the story of Noel Jones. To me, he looked very tired toward the end of the series and I hope that he really finds some personal relationship happiness. I’m rooting for him. I was not a fan of Team Haddon and I was confused throughout but not surprised by some of the anti-establishment rants by this young preacher that unfortunately is echoed by some young preachers/pastors that I see today, who does not respect authority. I have never worn the tag “Angry Preacher” as an associate or pastor, and I just believe that many of the episodes that featured him could be used in a teaching setting with young associates. So, bottom line – I call this a draw. It wasn’t earth-shattering and it wasn’t that boring. It looks like the producers have the making of a spin-off – Team Haddon would make a series unto themselves. I think the world and the church could tolerate another season – but if you really want to see the strength (or lack thereof) of this show – put it on Thursday nights at 10 p.m. and it will go off the air immediately. Posted in: Preachers of L.A.
Overseer William O’Neal transitioned peacefully, quietly and with great dignity at his home Friday, Nov. 22, 2013, into the arms of his Lord and Savior, Jesus Christ. He fought a good fight; he finished his course and, above all, he kept the faith. Celebration of life: 11 a.m. Saturday, Nov. 30, at Christ Cathedral Church, 3201 Purington Ave., Fort Worth, Apostle Sherman C. Gee Allen, eulogist. Bishop L.A Kennedy, officiant. Interment: Wisconsin Memorial Park, Brookfield, Wis.
Overseer O’Neal was preceded in death by his stepfather, Dewey Smith Sr.; grandparents, William and Lucille Crawford; and two aunts, Lois Stribling and Lucy Smith. Survivors: He leaves to cherish his memories his devoted wife, Laura O’Neal; his loving mother, Gertrude Smith of Milwaukee, Wis.; daughters, LaTanya O’Neal, Sheree O’Neal and Deneice Cobb of Arlington; sons, Barry Jackson and Dennis Jackson of Arlington; siblings, Carma Teasley (Steven), Gary Glispie, Fred O’Neal, Debbie Nance and Dewey Smith Jr., all of Milwaukee, Wis.; eight grandchildren; and a host of nephews, nieces, cousins and friends. His family would not be complete without mentioning the New Life in Christ Ministries Church. William O’Neal was born and raised in Milwaukee, WI. He was called into ministry at the age of 10 and preached his first sermon at age 11 under the leadership of Rev. William Reed, the Pastor of Jordan Missionary Baptist Church in Milwaukee. O’Neal attended North Division High School, Milwaukee Institute of Theology and the Milwaukee Area Technical College. Throughout his education he was popular and active in the A & B Choir, Gospel Chorus, Student Council, wrestling, basketball, photography and yearbook staff. He has worked professionally as a Drug Abuse and Alcohol Counselor for the Social Development Commission, as well as a Nutrition Counselor for WIC. He has also served as a Counselor and Director for multiple Youth programs and initiatives, to include serving as Program Director for the Salvation Army-sponsored program “Bring a Brother to Christ” in Milwaukee. William O’Neal left Milwaukee, WI for Dallas, TX in 1986 with five dollars and five suitcases. Since, he has been in Dallas, he has served as the Associate Pastor at True Love Baptist Church. He later became the Pastor at First Mt. Zion Baptist Church. Later, he started New Life In Christ Ministries, a non-denomination church in Irving, Texas. At New Life, the focus is less on tradition and is geared more toward building a personal relationship with Jesus Christ. In addition, to volunteering and community service outreach, O’Neal’s hobbies include comedy, sports and photography. His most recent endeavors include the implementation of his radio show production, Keep It Real O’Neal (KIRO). Broadcasting primarily from Irving, TX, KIRO Radio will be taping off site in multiple locations throughout the nation starting October 2007. Celebrating over 40 years in ministry, William O’Neal is known for “Keeping It Real” and “Making It Plain.” He is a gifted musician, powerful educator, a dynamic seminar speaker, a charismatic talk show host and above all – an exceptional pastor. I’m personally saddened by the news reports of death among clergy. As many people know, for years I’ve been running a newsletter/web page that reports on the clergy who have died. I do this because I believe that we honor sometimes the wrong people in death. Pastors who have served the Lord’s people are deserving of honor. In the words of one of my friends in Fort Worth, Texas, “Houston, I check your list to make sure my name is not on it.” When my lists first came out, for many of us, it was the only way to know that a colleague had died instead of the traditional way of going to the baptist conventions and hearing the names of the dead called in the Memorial Service (which most conventions no longer operate). The recent reports of pastoral suicide has troubled me. It’s not like it’s never happened before, but with the advent of electronic media, you not only hear about it, but you hear details, rumors, and you can even watch live-streaming of the service via the internet. You can be in Maine and hear the news. You can be in Hawaii and hear the news. You can be in Florida or Washington states and hear the news. Not months later, but in a matter of minutes. 1. I pray that the Pastor is well physically. He is only a few years older than I am, but I pray for his physical health. I pray that he takes care of himself. 2. I pray for his mental health. I pray that his mind (and he has a photographic memory) is alert, strong and sharp. I pray that he has someone also to confide in and pray with as well. 3. I pray for his joy. That’s right – I want my pastor to be happy. I especially want him to be filled with joy so that the same joy may be shared with the people he encounters. 4. I pray for his family. I pray for his wife Carolyn Washington Harris. I pray for his entire family especially his siblings and nieces and nephews. And for those he has grafted in as his extended family. 5. I pray for his help. Not only do I pray that the Holy Spirit would continue to be with him. I pray that the Lord would raise up supporters and give voice to members to support their pastor. It’s sad that some churches say “we want a leader” and then refuses to submit to leadership. 6. I pray for his travels. I want my pastor to be free to travel and minister as the Lord directs. I don’t want my pastor shackled. I want him to do what God has blessed him to do and to give him safe journeys as he travels and knowing that wherever he stands, he stands as my pastor. 7. I pray for his leisure. I pray for his hobbies. I pray for his competition as he plays board games. I pray for him as he shops. I want my pastor to have a life outside of the pulpit, so that his life is not shortened in the pulpit by stress. I pray you will join me in praying for your pastor. 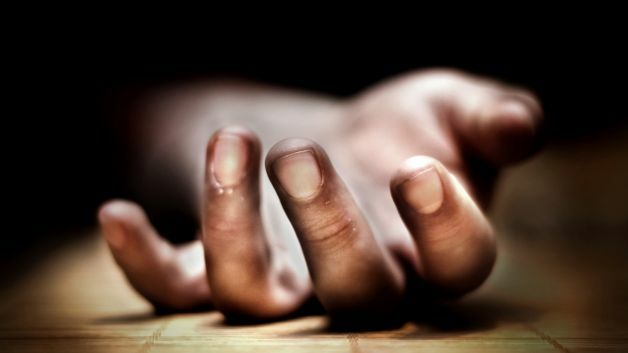 I want to introduce my readers to Dr. Leonard N. Smith’s excellent article, “Brace Yourself For the Next Clergy Suicide.” Dr. Smith is the senior pastor of the Mount Zion Baptist Church in Arlington, Virginia and Chancellor of the Richmond Virginia Seminary. In light of recent news events, I wanted to share his words. While many of us in the “Church World” were still processing the recent headlines regarding a pastor’s suicide in Georgia, two days after his funeral, we were once again taken back by the news of another pastors’ suicide. Both clergy and non-clergy were shocked to hear of theses occurrences, but the news of these suicides isn’t what’s shocking. What is shocking is that we are only just now beginning this conversation. The unfortunate truth is that we have been down this road before; and sadly, we are destined to travel this road again. While this may sound a bit cynical, it is not. Suicide among clergy is very real, and it is not new! While statistics may suggest that clergy suicide is uncommon, when it happens, it is an extraordinary event. It gains the attention of the masses and makes media headlines, but all too soon, our momentary infatuation with the suicide event fades as the next days’ headlines take center stage—until the next time. If Solomon’s words are true, and I believe they are, brace yourself for the next clergy suicide … and the next and the next, and the next … So just what is the cause of this painful reality? Depression! I don’t know anything about Mr. Warner, or the pastoral counselors he alluded to in the article. However, I know more than I care to admit about depression! Depression for those who serve in fulltime ministry is often preceded by feelings of hopelessness, hurt and burnout. Many tend to believe that clergy are immune to depression or that they are living in sin if they are depressed. Nothing could be further from the truth. Depression is an overpowering clinical condition that can lead to many things including physical illness, anger, sadness, addiction, and in some cases suicide. Most congregants can’t recognize depression in a pastor because they are too consumed by the glory of ministry. After all, that is what people want to see, and pastors show it well. Who wants a depressed looking and sounding pastor laying over the pulpit on Sunday morning whining about how bad their life is? No one does. People go to church because they want to be uplifted; they want to be encouraged. The pastor feels an obligation to fulfill that need. It’s the pastor’s role to ensure that the congregants return the next Sunday – and if they leave downtrodden, they’re unlikely to come back the following week. Therefore, pastors force themselves to get up every morning and dress up in their invisible Super-Spiritual-Man/Super-Spiritual-Woman suit. Once properly attired, they attempt the impossible feat of living up to the many unrealistic expectations bestowed upon them by people who could never personally reach those standards themselves. Even worse, some pastors literally exhaust themselves trying to achieve similar self-imposed unrealistic goals. Too often, pastors begin to see their role as their parishioners see it. Behind the persona of holiness and humility that the public sees, are pastors who secretly wage an almost daily struggle with the dark side of ministry. A great part of that dark side is isolation and loneliness. Scoggin says what those of us who serve in pastoral ministry know all too well. The silent struggle is real! Depression is typically seasonal. Seasons come and go, but while you’re in the season of depression you need therapeutic intervention to navigate through the season. It takes a person that’s been there to truly understand it, but not everyone who has been there can help you. Being able to relate to your plight is one thing, but professionally helping you to get through it is another. Allow someone you can trust to walk with you through the season of depression, in addition to the professional help you receive. Choose someone who loves you and can be trusted with the intimate details of your life and season. Be sure that they are emotionally healthy, otherwise they can unknowingly cause you further isolation and pain. Dr. Theodore Judson (“T.J.”) Jemison, pastor emeritus of Mount Zion First Baptist Church, Baton Rouge, former president of the National Baptist Convention, U.S.A., Incorporated and builder of the Baptist World Center in Nashville, Tennessee went home to be with the Lord on Friday, November 15, 2013. He was 95. Dr. Jemison was born in 1918 in Selma, Alabama. He came from a family of prominent ministers and churchgoing women. He earned his bachelor’s degree at Alabama State University, where he joined Alpha Phi Alpha. He went on to earn degrees at Virginia Union and did graduate study at New York University. Dr. Jemison served as pastor of Mount Zion First for more than 50 years, being called there in 1949. He built an impressive facility that houses the church to this day. In addition, he was active in the African-American Civil Rights movement in the 1950s and organized a boycott of Baton Rouge buses by black riders who were at the time forbidden by city ordinance from sitting in front of white people. The eight day protest did not end segregation but did force the city to make concessions. In 2007, Mt. Zion First Baptist Church instituted the annual T.J. Jemison Race Relations Award in his honor. The Rev. Richmond D. Holloway Jr., who served as senior pastor at Pilgrim Missionary Baptist Church for 46 years, died Wednesday in HighPointe on Michigan health care facility, 1031 Michigan Ave. He was 84. Born in Byhalia, Miss., he was a graduate of Rust College in Holly Springs, Miss. He moved to Buffalo in 1963 and began serving as a pastor at Pilgrim Missionary Baptist Church. He retired in 2010. Mr. Holloway served as president and dean of the Great Lakes Baptist Association. Holloway Boulevard, a street in the Pilgrim Village housing development, was named in his honor. He is survived by his wife of 15 years, the former Pauline Jones; four daughters, Charmette Miller, Latasha S. Ferguson, Shalonda J. Williams and J. Katrina; a son, Richmond D. III; two sisters, Dorothy Malone and Mary Rogers; and two brothers, Cecil Jones and James Jones. Services will be at 11 a.m. Friday in Pilgrim Missionary Baptist Church, 665 Michigan Ave. The news has been filled this week of the unfortunate story of a young African-American pastor in Macon, Georgia, who committed suicide on this past Sunday in front of his home, in between worship services. It has been not only heartbreaking but it’s become an instrument of speculation, catharsis and intraspection. I am amazed how some in the Christian media have taken a 15 second sound bite from a three year old sermon that he preached and tried to contemporize it to his act. The misleading headlines suggest also that it was his final sermon when, if you watch the entire sermon, he was attempting to convey the message that even ministers and pastors question God, and have their moments of loneliness and fear. The purpose of this blog is not to go through the whys and wherefores. Frankly, that’s not only none of anyone’s business and it’s not necessary to publicly second-guess the young man or discuss knowledge, limited knowledge, any knowledge or no knowledge in deference to his wife and children, and church family, whose hearts are hurting. I’d rather want to share my own viewpoint that this is a time to grieve, even if you didn’t know him for yourself. We should grieve because a successful ministry is now re-categorized to the annals of history. Whenever anyone does what he did in his years at his congregation and was in the midst of planning future ministries – it’s appropriate to grieve what could have been and yet pray that the congregation continues forward in the spirit of the vision that was given to them by their pastor. We should grieve because it could have been any of us. Death has no litmus test nor does it have parameters. This year, I’ve buried several pastoral colleagues who were 50 years and younger – which will leave a void in those who could have been voices of encouragement for the next generation of preachers to follow. I look at myself at 53 and begin introspection and say to God, “it could have been me” – no matter the circumstances. I am alive today not because of earned goodness or excelling personality. I’m alive because of the grace of God. We should grieve because another one of us have gone home. I mean another pastor. I reckon that about 100% of our churches will experience a change in leadership in the lifespan of their churches and unfortunately no sudden change of leadership is an easy transition. I spent time last night just praying for the leadership of that church as they not only bury their leader but being the grieving process and ultimately the arrival of their new leader. The bottom line is that a faithful preacher and teacher is no longer among our ranks. and see each other's face? and in his sight appear. and hides our life above. till we can sin no more. so we may Jesus gain. Last week, my wife and I went to see the new, Oscar-buzzed movie, 12 Years a Slave. It has taken me a few days to absorb the movie and I write this hoping that you won’t take just my word for this movie, but you will go see it for yourself. This movie is based on the true story and book by the same name penned by Solomon Northrup, who wrote this book in his autobiography in 1853. He was a free black man who was kidnapped in, ironically, Washington, DC and sold as a “runaway” Georgia Slave to a series of slavemasters in Louisiana, where he was held for 12 years until his release. Directed by Steve McQueen and written by John Ridley, this movie stars what proves to be the perfect choice for not only lead actor of the film, but should be the Best Actor at next year’s Oscars, Chiwetel Ejiofor. He is absolutely believable in his translation from free man to slave man to free man – with a grace and dignity as free to determined and calculating as a slave and then humbled and grateful for his freedom again. Besides Ejiofor, the movie centers around a hard-working but misaligned slave by the name of Patsey, who is also the object of her slavemaster’s affections with the knowledge and objection of his wife. She is played with power by Lupita Nyono’o and honestly her supporting role bumps Oprah Winfrey out of the picture. She is the paradox of the movie – a woman who can pick 500 pounds of cotton a day, easily surpassing all of the other slaves, and yet has to enduring sexual advances by an out of control slave master, Edwin Epps (Michael Fassbender). This is easily a shoo-in for Best Picture. As I watched the movie, some points were too painful and graphic to take in at once. I’ll probably go back and attempt to do so. But when I think of my ancestors who endured this hardship, pain and devaluation of humanity, it makes me take our nation in a light of thanking God for the progress we’ve made (albeit it against the majority’s will in the South), but also knowing we have a long ways to go. The cruelty of the slave owners is vivid. Fassbender, Benedict Cumberbatch, and Paul Giamatti make the business of slave holding very vivid down to the unreasonable pain inflicted upon slave families. If you go, be prepared for moments of silence. I think the filmmakers intention of inserting large moments of silence is to give the audience time to process what they’ve just seen. There were moments when the audience wept and wept, and yes, I cried to as well. You’re given a front row seat to the pain of one very American family whose lives were completely disrupted by the ill intentions of those who saw children of colors as livestock and commodity instead of human beings. May we never again experience this type of behavior toward anyone in this country again. I hope that this generation of young people will watch this movie. It is their generation’s Roots. I hope that when they see it some attitudes will change, pants will be pulled up, our women will no longer be referred outside of their names, and that we’ll have a greater appreciation for our history and our survival. 1,062,288 visitors on my site! Enter your email address to follow "The Wire" by Robert Earl Houston and receive notifications of new posts by email. About life, preaching, church, books, and other stuff.